The fifth season of Cheers, an American television sitcom, originally aired on NBC in the United States between September 25, 1986 and May 7, 1987. This season marks the departure of Shelley Long as Diane Chambers, bringing an end to the Sam and Diane relationship (although Long would return for the series finale). The show was created by director James Burrows and writers Glen and Les Charles (as Charles Burrows Charles Productions), in association with Paramount Television. After two seasons of struggle with low ratings and schedule shifts NBC's Best Night of Television on Television 1984–85 Thursday lineup, consisting of (from 8 pm Eastern) The Cosby Show, Family Ties, Cheers, Night Court and Hill Street Blues, was a ratings success. After two years with the same lineup, the crime series Hill Street Blues moved to Tuesdays in November 1986 to compete with Moonlighting, while the court series L.A. Law moved from Fridays to Hill Street Blues' former slot. In April 1987 Nothing in Common replaced Night Court, which had moved to Wednesdays. Before the season began, a telephone survey asked callers whom they thought Sam was calling in the last episode of the previous season: politician Janet Eldridge or his on-and-off girlfriend, Diane Chambers. Nearly 140 picked Diane, while almost 60 chose Janet. Callers who voted for either woman expected the love triangle to continue during this season, or felt that Sam and Diane should live happily ever after. ^ After two years of recurring appearances, Grammer was included in the opening credits during this and subsequent seasons. ^ After appearing in "Second Time Around" (1986) the previous season, Neuwirth appeared in two episodes this season: "Abnormal Psychology" (1986) and "Dinner at Eight-ish" (1987). The first episode of the season reveals that it was Diane whom Sam had called; his proposal was rejected because Diane thought he was on the rebound from Janet. After rejecting a number of other proposals during the season, Diane accepts Sam's proposal after a judge compelled him to propose once more. Diane's ex-fiancé, Sumner Sloane, tells her one of his colleagues was impressed with her manuscript and forwarded it to a publisher. At their much-anticipated wedding, just before saying "I do" Sam and Diane receive the news that the publisher will give Diane a large advance to finish her book. They cancel the wedding, and Diane promises she will return in six months after finishing the book. Not knowing it is for the last time, Diane leaves Boston (and Cheers) behind. It is revealed that it was Diane to whom Sam proposed on the telephone in the last episode. She declines the proposal as premature and unromantic, asking Sam to repeat it in a more-suitable setting. At a sailboat suggested by Cliff, Diane turns Sam down again, citing Sam's reference to ex-lover Janet Eldridge as the reason, prompting her to feel that Sam may be doing this to forget Janet. Sam sails off in a lifeboat, leaving Diane behind. Several days later Diane asks Sam to propose again, but he refuses, saying that the proposal has "expired". Sam's date, Vicki (Brenda Strong), checks out of a country inn to visit her grandmother in the hospital. To keep Diane—who has followed them there—from finding out, Sam offers a $50 bribe to a middle-aged couple (Sid Conrad and Kathryn White) to make noise in the bathroom; however, his plan fails when the husband comes out of the bathroom. Diane decides to be honest, telling Sam how foolish they are about their relationship. They later apologize and decide to make love, but Diane changes her mind and leaves. Carla brings her neighbor's pregnant cat to the bar; she gives Norm one beer per newborn kitten while the cat is giving birth, so he takes the kittens home. Cliff fixes his mother, Esther (Frances Sternhagen), up with the wealthy Duncan Fitzgerald (Richard Erdman), but there is no chemistry between them until Norm steps in. When Esther and Duncan become engaged, she suggests that he donate his fortune to charity. Since Cliff cannot afford to pay for their parties and support them financially, Sam throws a bachelor party for Duncan at the bar. Duncan dies during the party, throwing Esther and the other guests into mourning. Frasier reluctantly agrees to a talk-show debate with his former girlfriend, Lilith Sternin. Convinced that they may still be in love, Diane gives Lilith a makeover and removes her hairpin to loosen her hair. During the debate they sprinkle psychiatric jargon with double entendres, playing footsie with each other. After the show they regret their unprofessional behavior, but Frasier asks Lilith to let her hair down again. Overwhelmed, he kisses her and takes her to dinner. To convince the unenthusiastic Norm and Cliff to go fishing with him, Woody tempts them with his RV's features. After the trip, Woody and Norm tell Sam that Cliff was boring and only caught a small fish. Sam gets a concert ticket as a gift from a customer, and gives it to Diane. When he refuses to accompany her, Diane gives Sam and Carla a speech about finding another date. Annoyed, Carla tells Sam to take Diane out, and he reluctantly goes to the concert. Carla is thrilled to move into a reasonably-priced, older home (at Cliff's suggestion). When she discovers the house was built on the graveyard of a 17th-century prison, she assumes that that is the reason for the low price. Diane and Sam convince her to stay at the new house overnight. When Norm and Cliff go in, Norm is frightened; when Sam calls with a message about his wife Vera, Norm leaves Carla and Cliff alone. Cliff is ready to leave since they cannot stand each other's company, but Carla dances with him and wins him over. At dawn, after a night's sleep, Cliff and Carla are awakened by shaking, loud noises and bright lights. These are caused by a jet, and Carla is relieved that the house's price is due to its proximity of the airport. Cheers was preempted by the fifth game of the 1986 World Series on October 23, 1986. In the pregame segment of the third game, Bob Costas interviewed Sam and the other characters in the bar. Norm tries to interest his friends in his new business: Tan 'n' Wash, a combination laundromat and tanning salon. Despite their doubts, the gang invest in the project from Norm, try out the experiment, and receive dividend checks for their shares. However, the rooftop of Tan 'n' Wash collapses from a heavy snowfall, and the business lacks insurance, causing the venture to fail. Diane dates Chad, but breaks up with him because Sam is jealous. Diane has a reservation with Jordan (Josh Clark) at the Café, telling Sam that the restaurant treats walk-ins and non-celebrities poorly. When Sam gets a later reservation, he impersonates Jordan on the phone, canceling Diane's reservation. Frasier prepares Sam to go to the restaurant as Julian Weinstein (Frasier's former classmate) with his date, Darlene (Kristi Somers). At closing time, Sam discovers that Jordan has left Diane without dinner; still posing as Weinstein, he orders the restaurant to let Diane eat dinner at his table. Sam does not have enough cash to pay for dinner, but Diane refuses to contribute. His real name is on his credit card (revealing his deception), so he runs off. Woody invents already-existing drinks; he spends all day inventing one new drink but forgets the recipe. Cliff, a member of the Knights Club, invites Norm to join. Reluctant at first, he joins after learning that the club may need an accountant. At the meeting, when Norm is about to offering his accounting services, the High Sultan (Stephen Vinovich) tells him that offering services to other members is forbidden. Norm remains a member until the club passes a rule banning beer from its meetings, prompting him to quit. Diane is interested in Lance Apollonaire (J. Eddie Peck), a student in a class where she is a substitute teacher's assistant, but when Sam kisses her, she is more exhilarated than she was from Lance's kiss. It is Thanksgiving week; Sam has a fiancée, Cliff's mother volunteers, Norm is unhappy to see his mother-in-law, and lonely Frasier wants some company. Carla invites them to her house for a potluck while her children stay at ex-husband Nick and his wife Loretta's house. Norm's wife Vera and Sam's fiancée are invited, but Sam's fiancée decides to hang out with her sister, who just arrived, and Vera goes to her mother's. Sam brings pie, and Norm brings an unfrozen, raw turkey. An uninvited Diane appears, telling them she ran away from the house of one of her professors when she realized she would be domestic help in a Pilgrim outfit. The gang are ready for dinner, but Diane tells them to wait for the turkey. Unfortunately, the turkey is thawing slowly and the other food is cold. Carla and Norm spew insults at and blame each other. They begin throwing food at each other, and the others follow suit. After the food fight, the gang calms down and decides to eat what they can, including the cooked turkey. When Diane throws pie in Vera's face instead of Sam's, Vera tells Norm to take her home. In 1997, TV Guide ranked this episode #7 on its list of the 100 Greatest Episodes. The Literary Review rejects Diane's work, publishing Sam's poem instead. Suspecting his poem was plagiarized, Diane jeopardizes her health to track it down. Sam admits the plagiarism to Diane, showing her one of her letters to Sam as the source, and she tells him to tell the truth to the barmates. Although she is pleasantly surprised that Sam saved her letters, he denies that he still has feelings for her. Carla makes her annual pilgrimage to Graceland, while her children visit Nick and Loretta. Sam announces his fishing trip with his buddies at Moose River. Irritated by Diane and Carla's competition for the management job, he puts Woody in charge. When Woody's ex-girlfriend Beth (Amanda Wyss) comes in with her fiancé Leonard (John Brace), Diane says Woody has a girlfriend, prompting a double dinner date. Woody uses Sam's legendary black book to find a date, and Desirée is chosen as Sam's "best". However, Desirée looks older than expected and is uninterested in Woody, and Carla confirms her as Sam's "best" housekeeper. Woody leaves Carla and Diane to decide who will be in charge for the evening, and Carla promises Diane will not make speeches. After dinner at Melville's, Woody reluctantly admits that seeing Beth and Leonard saddens him. Beth tells Woody she wants to settle down, but he is the adventurous type. After Beth and Leonard leave, Desirée overhears the men (except Woody) ridicule her, and she leaves. Woody finds her, telling her he had fun despite the evening's rough start. To make up, they go out for coffee. While Diane is out, Madame's sister Leeza (Marilyn Lightstone) gives the gang Madame's negative opinion on Diane's video audition and the video itself. Rather than disappoint Diane, Frasier persuades Madame to write her a more-positive review. Diane sees the positive analysis, and sends the video to the Boston Ballet. Receiving no response, she auditions there. Sam and Frasier arrive to tell her the truth, dashing her ballet dreams. Sam asks Diane to stop expecting him to propose to her; she cries, which annoys him. He proposes again and she refuses; he dreams of being executed for murdering her. When he tells Diane, she reminds him that the death penalty is unconstitutional in Massachusetts, so he tries to chase her to death. Diane presses assault and battery charges. In court, after the judge (Tom Troupe) waives bail and sets the trial for the following day, Diane—with a neck brace and cane—tells the judge about their relationship and admits that she tripped and fell while Sam was chasing her. Sam's attorney Tom (Tom Babson) suggests that Sam propose to Diane again, and the judge agrees. Sam proposes twice in court; Diane says "okay" to keep him out of jail. After the case is dismissed, Diane takes off the brace and packs up the cane. They apologize to each other, agreeing to be engaged. Sam buys a $1,200 fake-diamond engagement ring for Diane from Norm's shady jeweler. He then spends $290 for a box for the ring, $950 for four dresses, and $5,200 for a real diamond ring (to keep Diane from finding out about the imitation ring). However, Diane gets a phone call from Norm's jeweler. In the car after dinner, Diane throws a ring out the window, not realizing it was a real diamond ring. While they are searching for the real ring, he gives her the imitation ring to make the best of a bad situation. Meanwhile, Carla does not take Sam and Diane's engagement well. Loretta leaves her husband Nick and refuses to go back to him. Diane asks Sam to hire Loretta as a singer. Jealous that Loretta becomes a bar singer and is eyeing on Sam, Nick tries to take Diane away from Sam by presenting her dinner, cake, and music at night, but she resists him as she has been. Loretta enters and assumes everything Nick prepared is for her until she sees the name "Diane" on the cake, prompting Loretta to walk out. Diane tells Nick to leave the bar and then chase after Loretta, leaving Sam and Diane to use the remains of Nick's dinner schemes. Meanwhile, Frasier normally wins chess matches, but Woody always beats Frasier, frustrating him. Carla begins a relationship with Eddie LeBec (Jay Thomas), a goalie from Quebec playing for the Boston Bruins. She brings Frasier to a game, since he is mourning the loss of Bombo (his lab chimpanzee). Carla is pleased by Eddie's play, but Frasier is detained by a security guard for assaulting a man. In the next game, however, Eddie loses to the Philadelphia Flyers. Diane is appointed jury foreperson in an attempted-murder case. Jay Thomas reprises his character Eddie LeBec in later seasons. After her fiancé Eddie (Jay Thomas) loses nine straight games, Carla decides that their relationship triggered his losing streak and breaks up with him. When he wins a game, they begin breaking up before the game and reconciling afterwards. Diane tries to persuade the jury to convict Bill Grand (Brent Spiner) for the attempted murder of his wife, Sherry (Suzanne Collins). However, Sherry drops the charges. Diane sees Bill and Sherry arguing at Cheers; Sherry accuses him of another attempted murder and storms out. In the cold open, Woody tells Frasier that he broke his arm in a fall on the ice. Diane jumps out of the cake at Sam's bachelor party after he talks sarcastically about abandoning bachelorhood for a one-woman commitment, angrily throwing cake in his face and leaving. The next day, she gives him an ultimatum: 24 hours to hook up with a woman, while she can do the same with another man. Instead, he spends the night in his car watching her apartment and waiting for her to come home; Diane watches him. The next day, with five minutes left, they plan to make love. Woody Harrelson's real-life arm injury was incorporated into his character Woody Boyd's arm injury. Woody Harrelson broke his arm when his car flipped during a practice for the Pro-Celebrity preliminary of the Toyota Grand Prix in 1987, which is why he is wearing a cast. Boyd's arm cast is seen again in later episodes of the season, and his arm injury is re-mentioned in the next episode, "Dog Bites Cliff". After a dog bites him, Cliff files a lawsuit against its owner by mail. He then he meets the owner, Madeline Keith (Anita Morris), and is attracted to her. At a motel she tricks Cliff into signing a waiver-of-liability form and ends their relationship, citing a (nonexistent) husband. This episode aired at 9pm on Wednesday, February 18, 1987, instead of its regular time slot the following day, where Family Ties aired a one-hour episode at 8:30-9:30pm. Frasier and Lilith invite Sam and Diane to their home. Diane accidentally reveals her past engagement to Frasier, upsetting Lilith. When the story is explained, Sam suggests forgetting the past and celebrating the present. All is well until Sam meets ex-girlfriend Jill (Zetta Whitlow) and Diane reveals that she and Frasier had lived together. When the women storm into the bathroom, the men lock the door. When Cliff minds Carla's children, they tie him up and drop him off at Cheers. Frasier's friend Simon Finch-Royce (John Cleese), a British marriage counselor, has a pessimistic view of Sam and Diane's relationship; telling them any marriage would be short-lived, he suggests they break up. When they object, they go to Simon's hotel room with a help from Frasier, who is angry over Simon's $1,500 fee for counseling sessions with him. After their several visits, annoyed Simon tells Sam and Diane what they want to hear, so they stop bothering him. The late Coach Ernie Pantusso's brother asks Sam in writing to look after his daughter, Joyce (Cady McClain) from Reedsport, Oregon, who is attending Boston University. Sam and Diane ask Woody to give Joyce a tour of Boston; Woody and Joyce begin a relationship. At first, Joyce plans to marry Woody and drop out of college. However, Sam and Diane convince her to think about the effect on her family, so Joyce decides to stay in school, maintaining her relationship with Woody. Frasier thinks Lilith will give him golf clubs for their first-date anniversary, but he gets a tie instead. Due to President Ronald Reagan's live presidential news conference at 8pm ET, this episode aired at 9:30pm ET / 8:30pm CT in the East Coast. In the West Coast, it aired at 9pm (PT) / 8pm (MT), followed by the Cheers rerun. This episode is not to be confused with the actual film of the same name, which was released three years later (1990). Norm works at one of Boston's top accounting firms, but his small office doubles as a supply room, and his boss (Neil Zevnik) takes him for granted mainly by favoring Norm's yuppie partner Warren Thompkins (Tegan West). Diane arrives and then, when he considers himself "nothing", criticizes him for "giv[ing] up so easily," lacking goals, and not achieving anything. Taking Diane's critique to heart, Norm brings a presentation to work; when Thompkins steals it and presents it as his own, the board of directors reject it for its negative economic impact. With Thompkins as the lightning rod, Norm is relieved to keep his job, decides not to be a "go-getter", and earns respect anyway from his boss, who assumes him to be "Mr. Springsteen", a different name that Norm signed on delivery invoice. After Sam and Diane disagree on other locations, Sam chooses Walt Disney World for the planned honeymoon trip, and Diane reluctantly agrees. Convinced that life in Boston is corrupting Woody, his parents want him back in Indiana. To convince them to change their minds, the gang make a film about their lives. In the first viewing, they are horrified by the scenes: Sam and Woody's threats to kill a puppy, Carla's obnoxious children, Cliff's incompetence as a mailman, Norm's binge eating, and a suicide out Frasier's office window. Diane transforms the film into a Godardesque montage of scenes from other films. Woody's parents, unimpressed, still want him back until bar regular Al (Al Rosen) sends a note: "Let your son choose his own path, and it will always lead back to you". Sam and Diane buy a house from an elderly couple, Bert and Lillian Miller (Douglas Seale and Billie Bird), who had lived there for 40 years. Moved by their memories, Diane invites them and their family for a last Christmas party (in May). At the party, when Diane promises them more parties at the house, Sam angrily tells them it is now his and Diane's, and they must party somewhere else, astonishing Diane. Sumner Sloane (Michael McGuire), who jilted Diane in the series pilot, tells Diane that a colleague was impressed with one of Diane's unfinished manuscripts. Although his colleague sent it to a publisher, Sumner warns her that, if she marries Sam, she will not have enough time to finish the manuscript. The next day, the publishers notify her that they like it so far and will published a completed manuscript. Sam persuades Diane to cancel the wedding and finish the novel. At closing time, she promises Sam she will return in six months and leaves the bar (leaving Boston forever, not returning until the series finale). 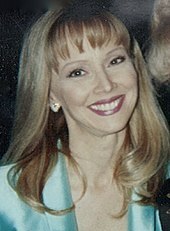 Shelley Long (pictured in 1996) decided to leave her role as Diane Chambers when the fifth season ends. In January 1986, Shelley Long, who portrayed waitress Diane Chambers, announced her plans to leave the series when her contract would end, shortly before the beginning of the start of the sixth season. In December, she decided to leave her role as Diane to concentrate on her film career and family, while Ted Danson signed a contract for the next season (1987–1988) as Sam Malone. Rather than have them marry, the producers decided to separate Sam and Diane in the season finale and permanently end their romance. With Long's departure, the producers decided to find a female-lead replacement with a different appearance from Long's. They would also change Sam's character to one which was "more carefree" and "more of a goof-off", exploring his bachelorhood. Three endings were filmed for the season finale, "I Do, Adieu", because it was possible that Long might decide to stay: 1) Sam and Diane become married; 2) Diane accepts an offer to finish a novel; 3) not revealed by the producers. The alternate ending in which Sam and Diane get married aired on May 27, 1998 as part of a 90-minute Fox special produced by the Paley Center called Behind the Laughs: The Untold Stories of Television's Favorite Comedies: A Museum of Television and Radio Special. The series regularly aired on Thursdays at 9 pm ET (8 pm CT). As of April 22, 1987 Cheers was in third place, with an average 27.2 rating (23.8 million households) and an average 41 share. As of October 1, 1986, revenue from each commercial break was $230,000. At the time of the original broadcast, Kathy Carlisle of the Los Angeles Times felt that Sam and Diane should have been married at the end of the season. On the other hand, Monica Collins of USA Today called Diane a friendless, "snitty, selfish snob" and was relieved to see her leave the series. Jeffrey Robinson of DVD Talk later found this season a great improvement over the previous season and "highly recommended" its DVD set, rated its content four-and-a-half stars out of five and its replay value four out of five. Robinson found Woody Boyd improved over the previous season, and Diane's departure poorly-written but "sad". Adam Arseneau of DVD Verdict graded this season 96 percent and the acting 95. He found the humor well-aged, and praised Frasier and Lilith's storyline. Arseneau called Sam and Diane "slightly silly" this season, but found Diane's departure "heartbreaking". He rated "Cheers: the Motion Picture" and "Dinner at Eight-ish" his all-time favorite episodes of the series. Nate Meyers of Digitally Obsessed! graded this season's style "A-" and substance an "A", for memorable moments such as the season-finale wedding. He praised Lilith's appearances, finding her "poorly handled" since she appeared in only two episodes this season. He praised the humor as well-aged, not topical (apart from references to then-President Ronald Reagan and the Soviet Union) and "rarely forced". TV Guide ranked "Thanksgiving Orphans" number seven on its "100 Greatest Episodes of All Time" list. The A.V. Club highlighted its food fighting scene as one of notorious moments of the episode. The Guardian's television critic Stephen Kelly panned the writing of "Chambers vs. Malone", which Kelly considered "one of the worst episodes." In 1987, John Cleese won an Emmy as Outstanding Guest Performer in a Comedy Series for playing Simon Finch-Royce in "Simon Says" (1987). Michael Ballin, Bob Douglass, Doug Gray and Thomas J. Huth received Emmys for Outstanding Sound Mixing for a Comedy Series for the season premiere, "The Proposal" (1986). The season is available on DVD in a four-disc box set. Like the prior season's DVD release, the set lacks special features such as outtakes and commentary. ^ "Buffalo Bill Returns Dec. 15". The Miami Herald. December 2, 1983. Record no: 8304060082. ^ Ed Bark (April 28, 1985). "NBC's SEASON IS THE COS FOR CELEBRATION - Bill Cosby's show rescues the network from the bottom of the TV ratings pile". The Dallas Morning News. p. 1C. ^ Boone, Mike (December 3, 1986). "Gemini's in trouble... we'll just have to tune in Cosby". The Gazette. Montreal. p. F-8. ^ "Hill Street Blues switching to Tuesdays to fight Moonlighting and boost L.A. Law". The Windsor Star. Associated Press. p. C10. ^ Belkin, Lisa (April 6, 1987). "New Shows Seek Favor in TV's Tryout Season". The New York Times. ^ Carter, Bill (September 25, 1986). "Diane gets the cheers in this readers' survey". Reading Eagle. p. 45. ^ Bjorklund, pp. 346, 354-55. ^ a b Kelley, Adam (September 19, 1997). "Sam Asks Diane For Her Hand". Entertainment Weekly. ^ a b Bjorklund, pp. 343–357 "Season Five: 1986-1987". ^ "Broadcast". Evening Independent. St. Petersburg, Florida. October 23, 1986. p. 5-B. ^ Rosen, Karen (October 25, 1986). "TV-Radio - NBC could use some more of `the rat stuff' in Series coverage". The Atlanta Journal-Constitution. Section D (Sports), page 12. At NewsBank: (registration required). At official website: (subscription required). Record no. 861005579. ^ "Special Collector's Issue: 100 Greatest Episodes of All Time". TV Guide. June 28 – July 4, 1997. ^ Dean, Paul (April 16, 1988). "Celebrities in Grand Prix Driver's Seat". Los Angeles Times. ^ "Woody Harrelson at the 1987 Toyota Pro-Celebrity Grand Prix Classic, Long Beach Raceway, Long Beach". Getty Images. Ron Galella Collection. April 4, 1987. The photo from the source displays Woody Harrelson's right arm cast at the Toyota Pro-Celebrity Grand Prix. ^ "Wednesday's TV programs". Pittsburgh Post-Gazette. p. 15. ^ "Thursday's TV Programs". Pittsburgh Post-Gazette. p. 19. ^ "Thursday's TV programs". Pittsburgh Post-Gazette. March 19, 1987. p. 19. ^ "On TV (Thursday)". The Register-Guard. Eugene, Oregon. March 19, 1987. p. 8B. Another source confirms a rerun schedule in some areas of the East Coast. ^ "Cheers Co-Star Plans Exit". San Jose Mercury News. Knight-Ridder Newspapers. January 10, 1986. p. 5C. Record no. 8601030491. ^ "Tipoff: Shelley Long..." Wilmington Morning Star. April 5, 1986. p. 2D. ^ "Serve it yourself, Sam: Diane on her way out from Cheers". The Gazette. 17 December 1986. ^ "Actress Shelley Long makes last Cheers appearance". The Ledger (Sunrise ed.). 7 May 1987. p. 2A. Retrieved July 8, 2012 – via Google News Archives. ^ Raftery, Brian (October 2012). "The Best TV Show That's Ever Been". GQ. Retrieved September 27, 2012. ^ Ess, Ramsey (February 2013). "Watching an Alternate-Universe 'Cheers' That Shelley Long Never Left". Splitsider.com. Retrieved August 25, 2014. ^ "We Look Back At The Top TV Shows of 1987". Zap2it - TV by the Numbers. May 31, 2008. Archived from the original on 2013-03-16. Retrieved 2013-02-22. This source says that the season scored an average 27.5 rating. ^ "TV NEWS: (Television ratings)". Daily Breeze. Torrance, California. April 22, 1987. p. D4. ^ Bark, Ed (October 1, 1986). "NBC rates big bucks for commercials". The Dallas Morning News. p. 1F. ^ Collins, Monica (May 8, 1987). "Three Cheers! It's Diane's last call". USA Today. p. D-1. Retrieved April 4, 2012. ^ a b c Robinson, Jeffrey (May 17, 2005). "Cheers - The Complete Fifth Season". DVD Talk. ^ Arseneau, Adam (July 6, 2005). "Cheers: The Complete Fifth Season". DVD Verdict. ^ "Cheers: The Complete Fifth Season (1986-87)". Digitally Obsessed!. June 16, 2005. ^ TV Guide Book of Lists. Running Press. 2007. p. 184. ISBN 0-7624-3007-9. ^ Adams, Erik; et al. (November 20, 2013). "A Cheers family Thanksgiving ends in a big mess". The A.V. Club. Retrieved March 17, 2016. ^ Kelly, Stephen (May 28, 2018). "When good TV goes bad: how Frasier Crane destroyed Cheers". The Guardian. Retrieved December 30, 2018. Bjorklund, Dennis A. Cheers TV Show: A Comprehensive Reference (e-Book ed.). Praetorian Publishing. Retrieved June 27, 2012. According to the 15 May 1987 article from The Argus-Press, the 1986-87 ratings were based on 87.4 million households with at least one television set. Unless otherwise, the sources were of the newspaper Pittsburgh Post-Gazette. ^ Barr, Robert (October 2, 1986). "CBS wins a skirmish, NBC wins the battle". Sun-Sentinel. Associated Press. p. 6E. 30.0 rating equates to 26.2 million households. ^ "Top 10 (Sept. 29-Oct. 5, 1986)". October 8, 1986. p. 19. ^ "Top 10 (Oct. 6-12, 1986)". October 15, 1986. p. 29. ^ "Top 10 (Oct. 13-19, 1986)". October 22, 1986. p. 27. ^ "Top 10 (Oct. 27-Nov. 2, 1986)". November 5, 1986. p. 29. The source omitted dates of the Nielsen week. article of the same date, "Baseball time", from The San Francisco Chronicle verifies that the week was of October 27-November 2, 1986. ^ Barr, Robert (November 13, 1986). "Perry Mason Special Rated in Week's Top 10". Sun-Sentinel. Associated Press. p. 7E. 28.8 rating equates to 25.2 million households. ^ "Top 10 (Nov. 10-16, 1986)". November 19, 1986. p. 26. ^ "Top 10 (Nov. 17-23, 1986)". November 26, 1986. p. 22. ^ "Top 10 (Nov. 24-30, 1986)". December 3, 1986. p. 31. ^ "Top 10 (Dec. 1-7, 1986)". December 10, 1986. p. 31. ^ Barr, Robert (December 18, 1986). "CBS throws in towel on Thursday nights". Sun-Sentinel. p. 12E. 28.2 rating equates to 24.6 million households. ^ "Pre-empting can't squelch NBC ratings". San Jose Mercury News. Associated Press. December 24, 1986. p. 6D. ^ "Top 10: Jan. 5-11, 1987". January 14, 1987. p. 25. ^ "Top 10: Jan. 12-18, 1987". January 21, 1987. p. 29. ^ "Top 10: Jan. 19-25, 1987". January 28, 1987. p. 31. ^ "Top 10: Jan. 26-Feb. 1, 1987". February 4, 1987. p. 24. ^ "Top 10 (Feb. 2-8, 1987)". February 11, 1987. p. 28. ^ "Top 10 (Feb. 9-15, 1987)". February 18, 1987. p. 15. ^ Baker, Kathryn (February 26, 1987). "ABC happy with ratings despite Amerika slump". Sun-Sentinel. p. 6E. 19.6 rating equates to 17.1 million households. ^ "Top 10: Feb. 23-March 1, 1987". March 4, 1987. p. 23. ^ "Top 10: March 2-8, 1987". March 11, 1987. p. 34. ^ "Top 10: March 16-22, 1987". March 25, 1987. p. 23. ^ "Top 10: March 23-29, 1987". April 1, 1987. p. 15. ^ "Top 10: March 30-April 5". April 8, 1987. p. 25. ^ "Top 10: April 27-May 3, 1987". May 6, 1987. p. 26. ^ "Top Ten". The Argus-Press. Owosso, MI. May 15, 1987. Entertainment Spotlight, p. 7. Retrieved April 4, 2012, at Google News Archives. Check date values in: |accessdate= (help) 28.4 rating approximately equates to 24.8 million households. Click "Set Search Limits", select "Range", select "Motion Pictures" at "Item Type", type "1986" at left box and "1987" at right box, either hit "Enter" or click "Set Search Limits"
Then, after above step, search by title, type "Cheers", and hit "Enter" or click "Begin search"